Explore Travel is urging agents to take advantage of solo travel discounts of up to £500 to help convert bookings, with holidaymakers keen to realise their trip of a lifetime. New research by the adventure travel specialist has found the most significant barriers to people going on their dream holidays are money, time – and reluctant partners. Its survey of 1,000 UK adults found 42% of people have experienced challenges with their partners choosing when, why and how to travel. However, 59% of respondents said these factors wouldn’t actually stop them travelling, with a further 44% stating they would consider travelling solo to fulfil a life goal. Top solo travel experiences on people’s wish list, according to the Explore survey, include seeing the wildlife of the Galapagos Islands (20%); penguin-spotting onboard an Antarctic cruise (19%); and going on safari in Africa (18%). To encourage solo bookings, Explore is offering a free single room option on more than 90 of its trips when booked before March 4, with potential savings of more than £500. The offer applies to selected departures and trips with limited availability – first come, first served. Among the trips included is Buddha’s Island, a two-week jaunt around Sri Lanka with opportunities to spot leopards, elephants and deer on a Jeep safari in Wilpattu National Park. 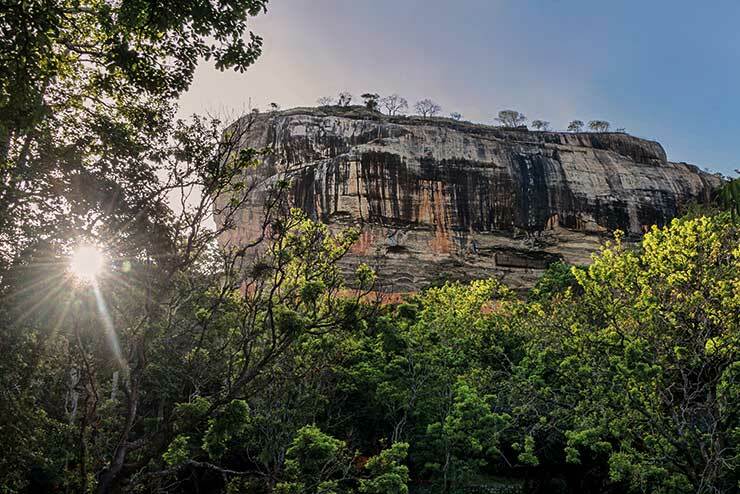 Clients will also get the chance to explore the ancient citadel of Anuradhapura, see the reclining Buddha in Polonnaruwa and climb Sigiriya Rock. Prices start from £2,280pp and travellers can save up to £450 with Explore’s single room option. Its 13-day Peru Encompassed itinerary includes a visit to Machu Picchu, a boat trip on Lake Titicaca and a walking tour of the former Incan capital of Cusco. Travellers can also add a white-water rafting adventure down the Urubamba river through the Sacred Valley. Departures lead in from £2,679pp with a single room saving of up to £500. Finally, Highlights of Nubia focuses on Sudan’s Nile Valley and the Nubian Desert. Attractions include the region’s sandstone temples, the many Pyramids of the Royal Necropolis of Meroe and a chance to sample the hospitality of a local family. Prices start from £3,470pp with a single room saving of up to £500. All three trips feature return flights, internal transfers, nine nights’ accommodation, breakfast and the services of an Explore tour leader. Explore adds its research found cost to be the biggest barrier to travel, and underlined its commitment to not charging travellers who are happy to share same-gender rooms a single supplement.